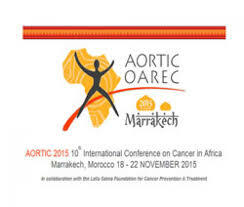 The introductory keynote speaker for the morning on Friday 20/11/15 was Dr Wild from IARC. He presented an overview of cancer in Africa. Although his presentation contained many maps of incidence and mortality of breast cancer in the world, he reminded us that the situation is dynamic. We need to look at the changing pattern of cancer in developing countries. He said that 30% of cancers in Africa caused by infectious diseases. (My understanding is that in Southern Africa it is nearer 60%) That contrasts with an incidence of 1:25 in the USA. His summary statement was that we have a duty of care to the patients of today and the populations of tomorrow. The breast plenary session started with Dr Anderson from Breast Health International. He advocated for resource stratification when planning a cancer control strategy. Other drug therapies should be considered as 2nd tier resources. 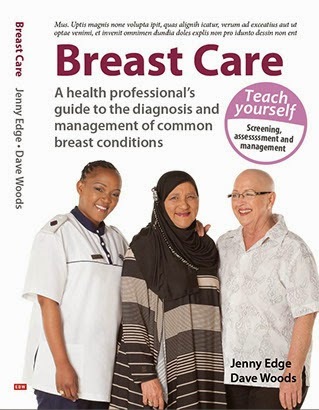 As a third tier, some resources are desirable and may make cancer treatment more acceptable eg, facilities to carry out breast conservation therapy. The finale tier of resources do not make any difference to out come and should not be lobbied for in LMIC eg MRI/PETscans. KNOWING WHAT NOT TO DO IS IMPORTANT when planning cancer care policy. In the breast cancer workshop session, I discussed the challenges faced by the breast course for nurses. The following speaker was Dr Ophira Goldburg from WHO. She spoke about WHO initiatives and started by challenging some commonly held perceptions. Breast screening is not easy. Clinical breast examination is difficult and screening is more than buying a machine. Dr Brinton presented a very interesting epidemiological study from Ghana. Women with breast cancer were asked to fill in questionnaire about lifestyle and asked to give saliva and blood samples. The preliminary results suggest that prolonged breast-feeding has an important protective effect in Ghanaian women. It may be more important than in Caucasian women. Much more data will come out of the study. In the afternoon, I attended the session on cancer control policy. The first presentation outlined the NCI guidelines. They have set up a portal, which aids any country planning to set up a cancer control policy document. RSA has spent a lot of time discussing a breast cancer policy. At present, there is no comprehensive plan. Salome Meyer has been at the forefront of the discussion. She is advocating for a 4P approach: patient, public, private partnership. She lamented the lack of a coordinated approach to breast health policy and research in RSA. In summing up, Prof Stefan said she felt that RSA had tried to get a perfect policy and in the attempt at perfection, had failed. On the positive side, having heard that Nigeria (population 200 m) has one working radiotherapy machine at present, Cape Town, with 6 working radiotherapy machines available to state patients seems to be in a fortunate position.